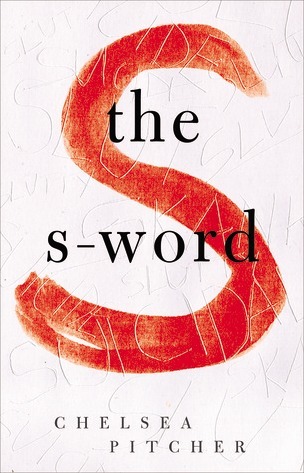 Book Review: The S-Word by Chelsea Pitcher - Book.Blog.Bake. The Sunday Wrap-up! (11) | Book.Blog.Bake. Sorry to hear you didn’t like this book! I am intrigued by it so have been trying to read a lot of reviews on it, and they seem to be mixed. I like that it deals with these tough issues, but it sounds like the author tried to shove in more issues than she could handle within one book. And the character of Angie sounds interesting, to say the least. I don’t think I can completely cross this one off my TBR list yet. Even though you didn’t enjoy it overall, I am still curious about it and might have to check it out! Most of the reviews I’ve seen have been mixed as well, and mine definitely falls on the lower end! I hope you enjoy it more, but even if you don’t, it’s definitely a decent launching point for thinking about some topics, even though I did feel too many issues were addressed. Also, I don’t know how often you use or request from netgalley, but if you’re interested in books that deal with these tough issues, I read a book today called Promise Me Something that had a similar theme and plot but I thought was executed much better– I would definitely recommend that as a follow-up to The S-Word! I reviews The S-Word on my blog recently and we definitely shared a number of similar thoughts. I also had fears for the American schooling system if that was anything to go by because it certainly was that bad here in the UK four or five years ago! Really? That’s quite scary. I think the S-Word is probably a fair portrayal of SOME people’s experience, but the blurb just really rubbed me the wrong way, because it’s certainly not everyone’s experience and probably not the most common either! YES! I do think that there ARE students whose experience probably line up with the events of The S-Word or worse(because dark stuff does happen in school! ), but I hate that the summary made it seem like it was a fair & accurate portrayal of the average experience.